IGYIMMUNE is available through local specialists in your market, their online stores and for a limited time on Amazon.com. Please click on the links below to order or if you are local, visit their locations. Our specialists include chiropractors, doctors, licensed therapists and specialty health food stores. Click on the company icons for more information and directions. If you are interested in being one of our partners, please send us a message through the contact page. For a limited, we will make IGYIMMUNE available on Amazon for $39.99 We urge all our customers to visit our partners online stores first! Dr Michael Bank has was the first professional to sell and promote IGYIMMUNE since 2012 (sold Vector450 originally). His practice is based on great adjustments, sound holistic advice and good supplements which follow this path. Kwaku Osafo-Mensah, MD, is board-certified in internal medicine, pulmonary medicine, critical care and sleep medicine. Which makes him perfectly qualified to help you with your problem. He has the training, skills and tools to deliver leading-edge solutions for your sleeping disorders and breathing problems. Since 1998, he has helped over 10,000 people from all walks of life with compassionate care tailored to their specific needs. Dr Osafo has been using IGYIMMUNE in his practice for over a year. Arlington Family Practice has been serving the community for over 35 years with a great history of listening to their patients. That has included teaching and selling IGYIMMUNE for patients with inflammatory issues and aging challenges. Visit them if you live in Arlington, TX or check back soon to buy online. Dr Wendy Baxter, located in North Arlington, TX , has been in practice since 1998. She takes a very natural approach to your health, and only recommends products that work. Also an avid runner, Dr Baxter understands what it takes to stay alinged and prepare for your next marathon. Partell Specialty Pharmacy has two locations in Las Vegas, NV. They specialize in custom formulations and have a wide arrainge of natrual health products. City Drug and Soda Fountain, located in Jacksboro, TX, is a classic family drug store where everyone does know your name. 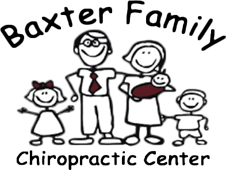 Open since 1960, Rod Hammey and family will take on all your health needs. Dr Theresa Stretch and her wonderfull assistants, will make you feel at home and listen to your needs. Hispanic and born and raised in Texas, Dr Stretch specializes in common sense medicine for all. IGYIMMUNE has quickly become a great tool in her practice for those wanting better health without side effects. My name is Michelle Mathieu, I graduated from The Chicago School of Massage Therapy in 1992. I specialize in Neuromuscular Therapy, Sports and Deep Tissue Massage. I have been using and selling IGYIMMUNE(Vector450) for over a year. Ask me how it works. Dr Lee's practice is based on his own discovery of how to heal himself using chiropractic and acunpunture to heal. He is very selective over what supplements he offers and finds IGYIMMUNE to offer a balance to his own methods. Heather Heefner (RD, MS Nutrition) is located in Fort Worth TX. He practice specializes in helping clear up misconceptions of the FAD diets and direct her patients to common sense nutrition and exercise. As a triathlete, she also works with many athletes trying to achieve the right balance needed to fuel their passion for sport and lifestyle. For her, IGYIMMUNE is a simple and important part of the nutrition and health puzzle. IGYIMMUNE available at her locations or online. Holistic Health International, LLC is one of the leading natural supplement retailers in the industry. Rhonda A. McKinney, CN is a Certified Nutritionist specializing in Nutrition and Natural Health Therapies guiding clients on the pathway to improve overall health by looking at the demands of the body which require clean, whole foods and nutrients including the necessary vitamins and minerals. An assessment is made by careful analysis of dietary intake, lifestyle, laboratory testing and evaluation of the general state of health. A personalized and attainable nutrition and natural therapy program is developed to achieve the goal of optimal health. As a certified advanced muscle activation practitioner, Dr. Jason Rehwald specializes in treating sports related injuries and maximizing athletic performance of pediatrics and adults of all athletic levels. 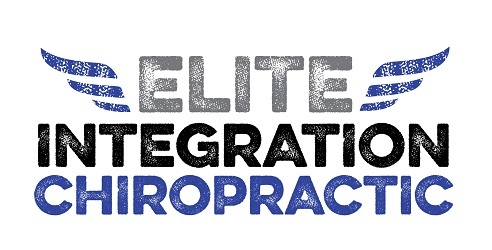 Also, at Elite Integration Chiropractic, Dr. Rehwald performs acupuncture, nasal specific manipulation and nutrition muscle testing. See our website for more details.